How to find minority teachers who want to stay in the job? LOS ANGELES — When students at one California charter network graduate from high school, they get more than just a diploma. They’re offered a job, too. 300,000 African-Americans and 600,000 Hispanics would need to join the teaching profession — as 1 million white teachers exit — in order to close the diversity gap. The letter goes on to encourage graduates to return after completing a bachelor’s degree and consider a job teaching at one of the 16 schools in the PUC Schools network. It’s a nonprofit charter system that serves about 5,000 students, mostly Hispanic, primarily in the San Fernando Valley and Northeast Los Angeles. Charters like PUC Schools and district school systems across the country are facing a common problem: Even though students of color represent half of the public school student population, the teacher workforce is still overwhelmingly white. Nationally, 18 percent of teachers are people of color — including African-Americans, non-white Hispanics, Native Americans and Asians — according to the authors of an August 2016 report published by the Brookings Institution. The report, which focuses on African-American and Hispanic teachers, projects that 300,000 African-Americans and 600,000 Hispanics would need to join the profession — as 1 million white teachers exit — in order to close the diversity gap. Michael Hansen, senior fellow at the Brookings Institution and director of the Brown Center on Education Policy, is among a number of experts who say minority students may be underperforming because they don’t have role models in positions of authority — people who are helping them, and who also look like them. “And of course, being young kids, going through schools, the person in any position of authority is teachers,” Hansen said. Research has documented other ways that a teacher’s race can impact student performance. A March 2016 study by Johns Hopkins University showed that black teachers are more likely to have higher expectations for their black students; for example, white teachers were almost 40 percent less likely than their black counterparts to expect black students to finish high school. For years, education reformers, particularly in the charter school world, have focused on recruiting the best teachers. Many charters have started their own training programs to ensure top quality. But, increasingly, schools that serve high populations of minority students, such as PUC Schools, are taking note of the research showing that the race of teachers matters and have begun to prioritize diversity along with that top quality. They’re discovering that their own alumni are the perfect pool to draw from, since former students inherently reflect a school’s racial and ethnic makeup. An added bonus: They often have deep roots in the local community and may be more likely to stay in the job, which can help address the chronic problem of high teacher turnover at many urban schools. Mastery Charter Schools serves over 13,000 students at 22 schools in Philadelphia and in Camden, New Jersey. As the school system has expanded, it has had to hire hundreds of new teachers to work in its so-called turnaround schools — failing schools that it hopes to resuscitate. 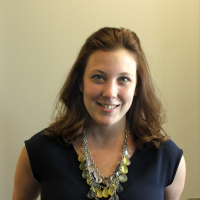 Recruiting alumni is one way to ensure teachers are committed to taking on the challenges of working in turnarounds, according to Courtney Collins-Shapiro, chief innovation officer at Mastery. Last year, Mastery started a residency program to train and mentor new teachers as they pursue a master’s degree with Relay Graduate School of Education. Of the 60 resident teachers currently enrolled in the program, nine are Mastery alumni, Shapiro said. Charters aren’t the only schools encouraging former students to come back and lead classrooms after college. The Howard County Public School System, located outside of Baltimore, awarded 11 of the district’s 2016 graduates full four-year scholarships to attend McDaniel College this fall. After completing their undergraduate degrees, the students will be expected to return to Howard County and serve the district for three years. The program is designed to help low-income students attend college while, in the long run, diversifying the district’s teacher workforce. Renee Foose, superintendent of the Howard County Public School System, said the idea originated about a year ago when the district was struggling to attract and retain teachers. As more low-income and minority students enter the school system, Foose wants to make sure they have teachers who can relate to students’ experiences inside and outside of the classroom. Julian Ambriz grew up in Cypress Park in Northeast Los Angeles. After attending PUC Schools for middle school and part of high school, he returned to PUC Schools to coach high school soccer. Now 24 years old, he is one of 11 new residents joining the PUC Schools network through the school system’s Alumni Teach Project. He plans to become a physical education teacher. He thinks students are motivated to perform better in school when they have teachers they can relate to. 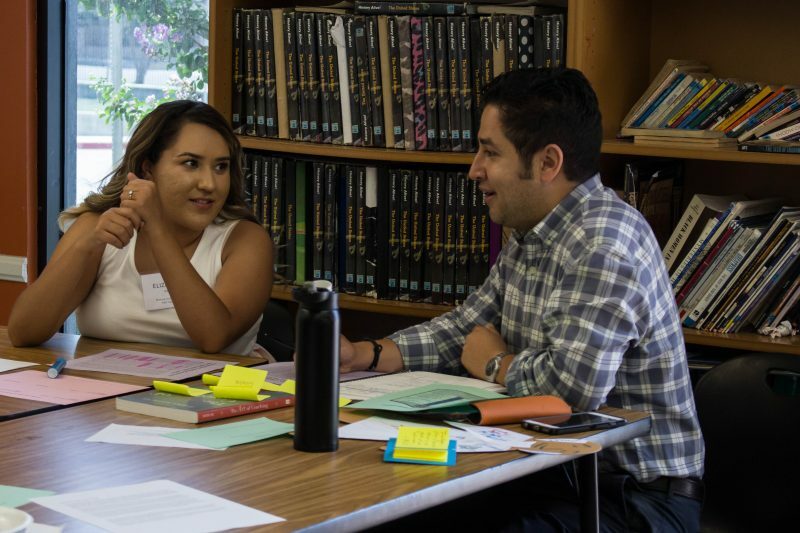 All of PUC’s new resident teachers are Hispanic, first-generation college students who are PUC Schools alumni, or who worked for the PUC Schools in some capacity after finishing college. The Alumni Teach Project was launched in 2012, when two alumni finished college and followed up on their 2008 PUC graduation-day-letter job offers (PUC started including the letters with students’ diplomas in 2007). This prompted Rodriguez and the other co-founder of PUC Schools, Jacqueline Elliot, to formalize the program. According to Elliot, the benefits of having alumni in their classrooms seemed obvious. “There’s no better role model for our students than teachers who have sat, literally, in the same chairs,” she said. But there was a caveat. “Just because they’re your alumni doesn’t mean they’re going to make a great teacher,” she noted. Related: Can Teach For America get more teachers to stick around in some of the nation’s poorest schools? Concern about making sure teachers were getting high-quality training led to a partnership with Loyola Marymount University in Los Angeles. Together, PUC and LMU designed a program that is centered on social justice theory and includes a focus on how teachers can create more equitable schools and classrooms, according to Leslie Chang, PUC Schools superintendent for instruction and leadership. Nationally, roughly half of all public school students and 18 percent of teachers are people of color — including African-Americans, non-white Hispanics, Native Americans and Asians. 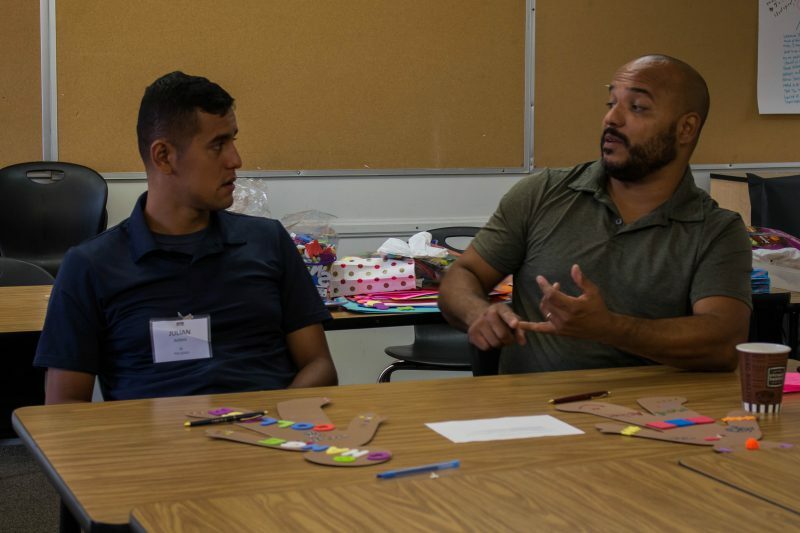 Recruits are in classrooms at PUC Schools from day one (as PUC Schools alumni, it’s almost like they never left), co-teaching with a veteran PUC Schools teacher. At the same time, the aspiring teachers take classes at Loyola Marymount toward a master’s degree in education. They have five years to complete it and receive a 40 percent tuition reduction. The overarching goal of the program is to give new teachers the training and mentoring they need to stick with the job long enough to become masters of the craft. Minority teachers are leaving the job at higher rates than their white colleagues, studies show. That means that even though the numbers of black and Hispanic teachers are rising, those increases are undercut by teachers’ early departures from the classroom. Leo Casey, executive director of the Albert Shanker Institute and a co-author of a study examining teacher diversity across nine U.S. cities, said it takes teachers about three years to grasp the fundamentals. But if teachers leave after the first or second year — often considered the most difficult, because they’re still learning how to manage a classroom, teach content and connect with students — schools have to divert resources to support new, inexperienced teachers. Ultimately, it’s students who suffer. The costs of residency training programs like PUC’s are also very high. Grants supplement individual PUC school budgets to help pay the Alumni Teach Project’s basic operational costs (hiring substitute teachers when mentors and new teachers are in training sessions), along with stipends for mentors and a modest yearly salary for new teachers. Related: This may be the best way to train teachers, but can we afford it? But in the long run, PUC leaders and current teachers say they think the investment will be worth it. One former Alumni Teach Project resident and an alumni of the charter, Eugenia Plascencia, agrees, recalling the frequent turnover of teachers when she was in high school. Now, at 25 years old, Plascencia hopes to be a role model for her ninth-grade math students at PUC. She grew up in Pacoima, a neighborhood in Los Angeles County where about half of the residents over the age of 25 never finished high school, and 8 percent have a bachelor’s degree or higher, according to 2014 census data estimates. After graduating from Reed College, a private liberal arts school in Portland, Oregon, Plascencia moved back to Pacoima to live with her parents and look for a job. Throughout college, she never imagined she would become a teacher. She had planned to become a speech therapist. But when she was offered a job as a special education assistant, she took it, and later applied for the Alumni Teach Project. Seeing how the students reacted to hearing her story made her realize they were experiencing many of the same things she felt when she was growing up. Most of them wanted to do well in school, she said, but didn’t think they could because they’d never seen someone close to them do it. Aside from having the chance to support students from her hometown, Plascencia said the Alumni Teach Project appealed to her because it provides ongoing support for new teachers. During her first year, she taught alongside one of the school’s veteran teachers. This allowed her to experiment with building her own teacher identity — finding ways to relate to students, while also learning to teach content — without the fear of failure. She always had someone to back her up if the lesson wasn’t going well. This setup doesn’t only benefit the new teachers. Veteran teachers like Joe Garza, who has been teaching for a total of 15 years, including eight with PUC Schools, is starting his third year as an Alumni Teach Project mentor. He said that serving as a mentor forces him to rethink what he used to consider to be good teaching. The program’s emphasis on social justice has also taught him how to craft better lessons. For example, when mentors and mentees met for a training session in late July, they didn’t spend a lot of time discussing the practical details of teaching (how to write a history lesson or explain an algebra problem to students). Instead, they used that time to discuss aspects of social justice and how it relates to teaching — what it takes to develop lessons that embrace and build on students’ cultures and identities, and how to avoid letting their own biases interfere with setting high standards for their students. Many of the teachers who serve as mentors share the view that being an educator is more than just helping students graduate from high school and get into college. Justin Gutierrez, a high school physical education teacher who has been with PUC Schools for over 15 years, is participating in the Alumni Teach Project as a mentor for the first time this year. His mentee, Julian Ambriz, was his former student. So were Ambriz’s brothers. To Gutierrez, the project’s focus on diversity really serves the deeper goal of developing empathetic and encouraging relationships between teachers and the students they serve. It’s those relationships, he says, that are at the heart of being a good teacher. “It’s impossible to get a student to succeed, to perform well, if they don’t feel accepted, loved,” he said.